Best places to visit in Andaman in winters with your family. It is an archipelago of the Bay of Bengal, between India in the west to Myanmar in its North and east. This whole chain includes the famous Coco islands of Myanmar. Some of these islands require permits, some like Sentinel islands have been banned to be visited by law, in light of certain incidents. The earliest archaeological evidence goes back 2,200 years. The Andamans were a bridge for people to migrate to South East Asia. First rulers from 800-1200 AD were the Chola dynasty, they created an empire extending from Malaysia to South East Asia, after which they were colonized by the British with a naval post on Chatham island. You just cannot miss this. This was a prison of the backwaters used to exile political prisoners. Many political prisoners like Veer Damodar Savarkar, Batukeshwar Dutt were exiled to this island. It was constructed between 1896 and 1906 but it was immediately used after the Revolt of 1857. This punishment threatened them with loss of caste as was the belief . They were used to construct harbours, prisons and other facilities. Many people perished in this ordeal. 733 prisoners arrived from Karachi in 1868 under the supervision of the jailer, James Barry and prison doctor Walker. The bricks of this building were brought from Burma and it had seven wings with an intersection and was used by guards as a means of surveillance for inmates. They were special cells for solitary confinement and a room where people were sent to the gallows. There were spokes barring entry and exit and means of communication inside and outside was forbidden. 80,000 prisoners were kept in this prison and very few survived due to the conditions, many people committed suicide or died in medical experiments torture, flogging and heavy menial work. 33 prisoners protested their treatment by a hunger strike, one of them was Mahavir Singh an associate of Bhagat Singh. Many died due to force feeding and those who tried to escape were caught and marched aboard a ship to India. It was finally emptied in 1939 after Gandhi Irwin Pact. The empire of Japan invaded this island in 1942 and the Cellular jail became home to British Indian supporters who were tortured and killed there. The control of these islands was passed to Subhash Chandra Bose who unfurled the Indian flag in 1945. Ross island was named after a marine surveyor, Danielle Ross. 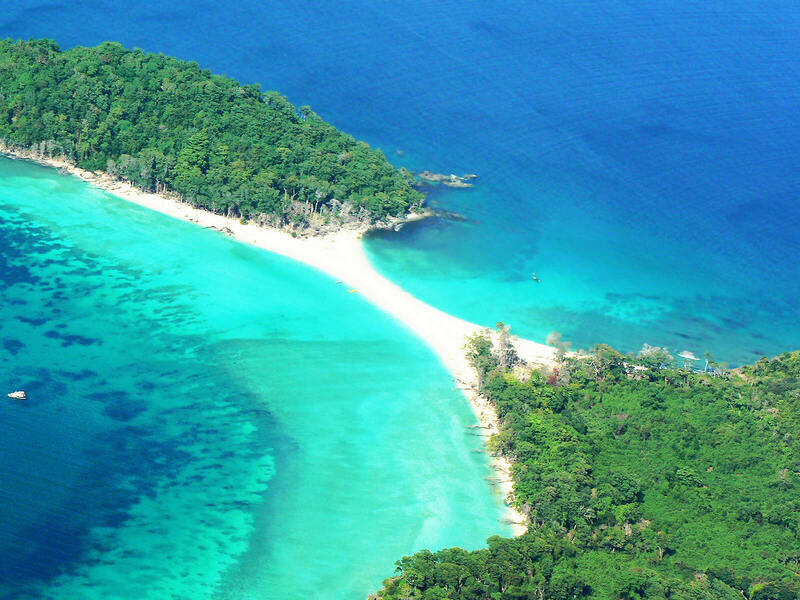 A settlement was established at Port Blair , the capital of Andaman. Between 1792. a hospital and a sanatorium was established at Andaman. After the revolt of 1857, Ross island came into the limelight once again. Ross island remained important for the next 85 years, before the island . This island shone in spectacled past with a bakery,cemetery, a hospital, swimming pool, power plant, water reservoir, swimming pool and church. Barracks were put were the prisoners who dared to confront the British or to escape from the Cellular jail. The first penal settlement was in Viper island. In 1941, this area was maligned by the earthquake and later by a tsunami in 2004. They were also bunkers used to watch prisoners constructed by the Japanese.